We care about our employees and their safety, and we strive to ensure everyone who works with us, feels like a valued member of our team. Check out our current positions available for the upcoming season, as well as necessary info about applying with us. Set-up GPS and mm transmitter units from geodetic monuments following manufacturers specification over sites of varying complexity and size. Most hardware is Topcon. Conduct field surveys that accurately represent site conditions. Surveys may be as-built, original conditions, or consulting related. Layout of standard construction projects using traditional stake/lathe practices and using 2d and real-time 3d elements. Hold a valid driver’s Licence and be able to travel. Potentially provide a Driver’s Abstract. Update software and execute command in MS-DOS on Topcon 3DMC software/Windows OS. Aid in tender preparation and post award required documentation. The successful candidate will have the option for health benefits, standard vacation and others that will be discussed during the interview process. Be a Licensed Truck and Coach Mechanic or Heavy Equipment mechanic with Interprovincial Certification but not required. 3rd or 4th year apprentices welcome. 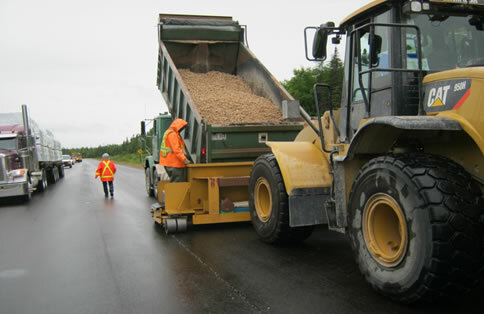 Have previous experience working on transport trucks; trailers and road construction equipment. Computer diagnostics would be an asset.